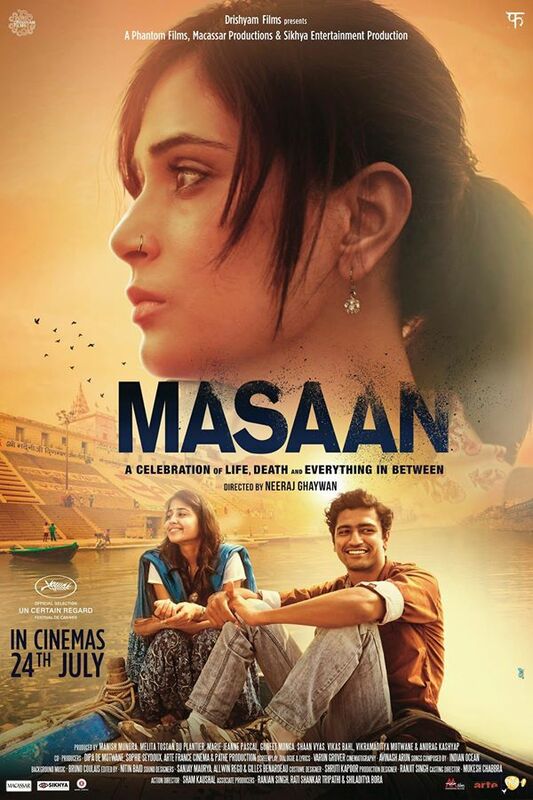 After winning accolades and prizes at Cannes Film Festival, Neeraj Ghaywan’s debut feature, Masaan is all set to hit the Indian screens on July, 24th. The poster and the official trailer is out too. Have a look. Winner of the FIPRESCI prize and Promising Future Award in the Un Certain Regard section at Cannes 2015, Masaan revolves around four lives intersecting along the Ganges: a low caste boy hopelessly in love, a young woman ridden with guilt of a sexual encounter ending in a tragedy, a hapless father with a fading morality, and a spirited child yearning for a family- as they try to escape the moral constructs of small-town India. Set against the divine landscape of Banaras, Masaan is a celebration of Life, Death and Everything in Between. For more info, its FB page is here and Twitter feed is here.